The Budget Skull is an affordable anatomical model that is easy on the pocket which is a life-sized replica of an adult human skull. Anatomical models serve as important teaching tools for professors, lecturers, and medical professionals while simultaneously providing supplementary education to students of anatomy and physiology. That is why this skull reproduction serves as an ideal reference for students as it permits them to identify and discern the fundamental features of the human skull. 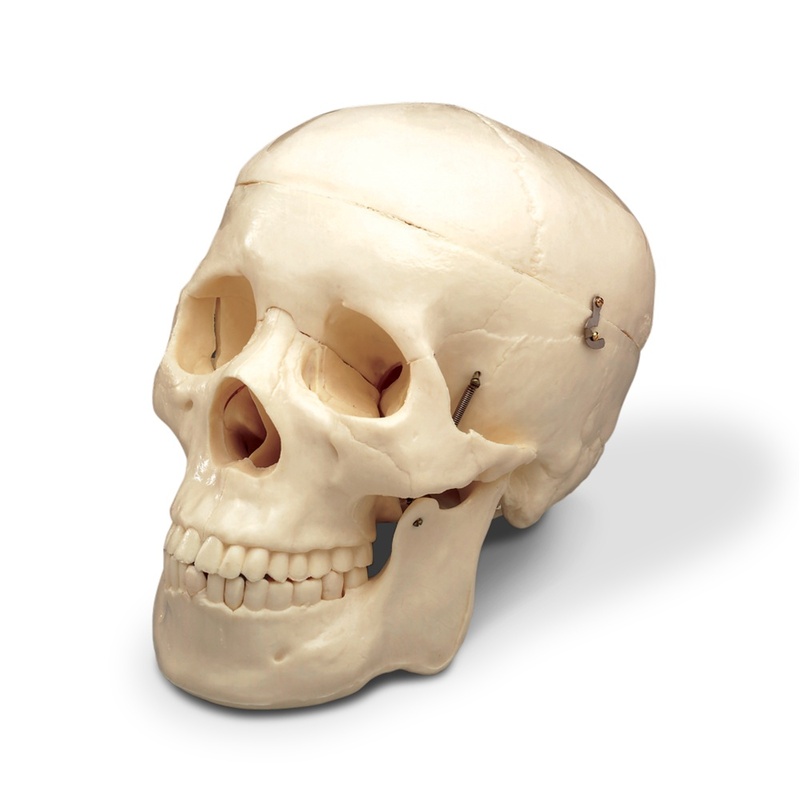 The cranium model depicts the suture or seamline junction that characterizes the human skull. It also showcases a cut skull for further dissection and detailed examination. • The jaw is set on a spring and is movable. • This skull version can also be detached into 3 parts. This is the best study partner for students in the field of cranial anatomy and the perfect tool for doctors’ patient instruction. This budget skull is made of highly durable plastic that is sure to last for many years of study. 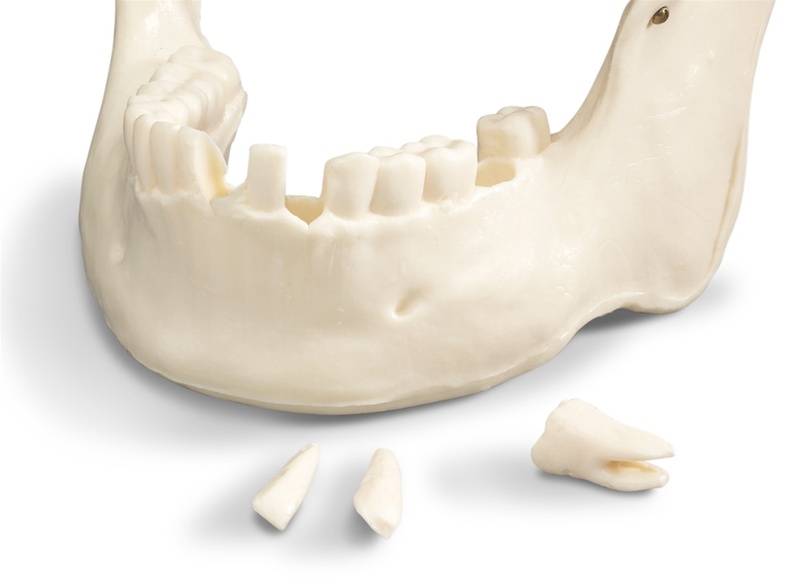 FUNCTIONAL- Jaw is set on a spring and is movable and features 3 detachable lower teeth including the incisor, cuspid, and molar. Most importantly, it depicts the suture or seamline junction that characterizes the human skull. IDEAL EDUCATIONAL INSTRUMENT- This skull reproduction serves as an ideal reference for students as it permits them to identify and discern the fundamental features of the human skull. It is also the best study partner for students in the field of cranial anatomy. PERFECT AIDE FOR DOCTORS- It is also a perfect tool for doctors’ patient instruction. For the cost it is perfect. Being able to take you time at home is so important. All I can say is it help me get an A. Enough said!!!! Bought this to make a ventriloquist dummy out of for Halloween. Good quality plastic, much better than junk in costume stores around Halloween. Skull was packed well, fairly heavy duty for the price and very realistic- almost too realistic, its pretty spooky. Second set of skulls ordered from this vendor, delivery and quality were good. I wanted this for studying craniosacral therapy. Cons: very hard to take off top of skull, top (removable part)does not line up with the rest of the skull, huge seams (and gaps) in facial bones that don't line up with sutures, sutures not well defined in orbits, and its really heavy. If you need to study detail, don't buy this.